Learn more about Huan Hin with our Hua Hin Travel Information. Situated 200 km’s South of Bangkok along the East Coast of Thailand in the Gulf of Thailand,Hua Hin is a famous beach resort town inThailand. There are a lot of things to do and see in Hua Hin. Plearnwan and the Butterfly Garden. Of course there are the normal things to do, like spending the day on the beach, spending some time shopping or trying the many restaurants and eateries around the place. Water sports activities are popular in Hua Hin and organising a fishing trip is an experience that you can brag about for years. Since Hua Hin is situated on the coast then boat trips out to the Gulf of Thailand are popular and a great way to spend the day. 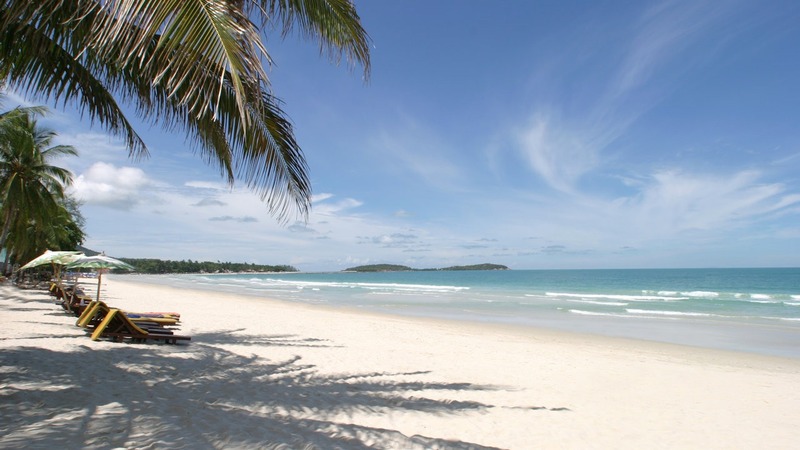 Hua Hin is famous for its beach which stretches all the along the coast to for a couple of kilometers to Khao Takiab. The beach is the major draw card to tourists and locals. The beach is not accessible by car or motorbike. The main way to get there is to park on Damroen Kasam Road and walk to the beach. Check out the Hua Hin Tours and Activities here. 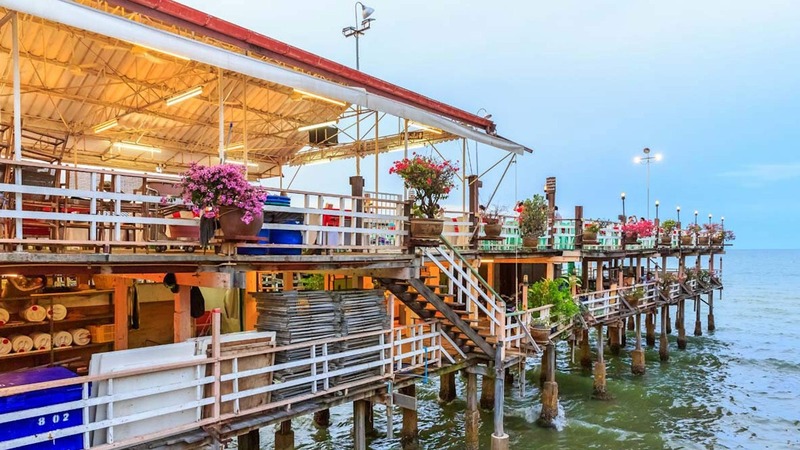 Finding Hua Hin Hotels and Accommodation is easy as there are a lot of different types of Hostel, Hotels and Resorts around Hua Hin that will fit everyone’s budget. We have over 400 Hua Hin Hotels around the area, so your choice is up to how much you want to spend. 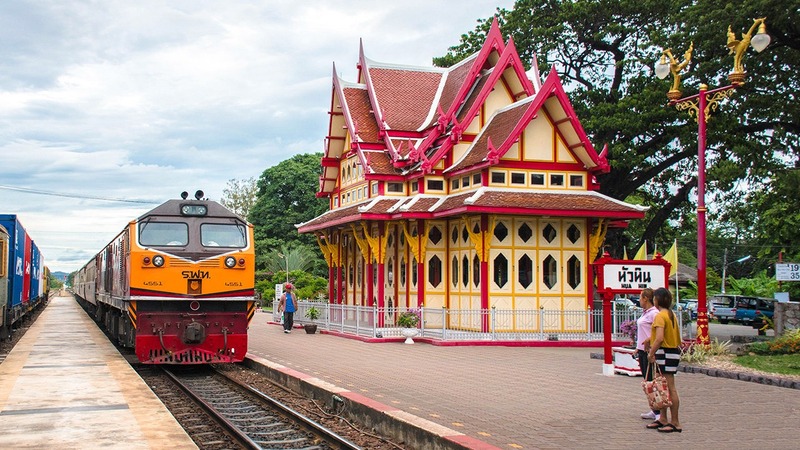 Since it is located on the east coast of Thailand, Hua Hin is easy to get to from anywhere around Thailand. Just like in most areas of Thailand there are Huan Hin Restaurants that range from tiny eateries to 5 star resorts. The food in Hua Hin is similar to Phuket and Koh Samui with seafood being a popular choice for tourists. There are restaurants along the beach that you can sit in and enjoy the nice sea breeze and views. If you have been to all of the main beach side tourists areas like Pattaya, Phuket and Koh Samui, then Hua Hin should be next on your list.